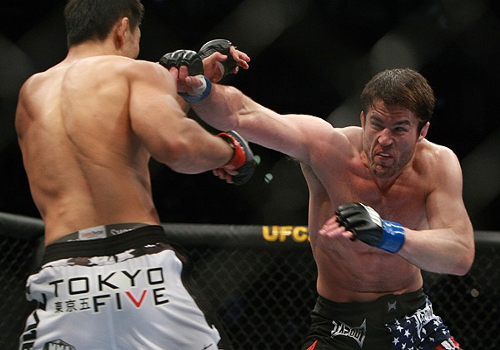 What Lies Ahead of Chael Sonnen? From one case to another, Chael Sonnen's future is now in doubt after the CSAC indefinitely upholds his suspension. Last Wednesday, the California State Athletic Commission (CSAC) voted 4-1 to uphold an indefinite suspension for the UFC middleweight fighter, Chael Sonnen. The decision now makes it impossible for the fighter to coach at the 14th season of The Ultimate Fighter, opposite Michael Bisping. Last April 19, the CSAC announced that Chael Sonnen was indefinitely suspended for two violations of the California Code of Regulations, Title 4, Section 390. The UFC middleweight talent was deemed to have violated section 390 by making untruthful statements under oath at a December 2 hearing, and for pleading guilty to a money laundering charge in Oregon on April 8. Last Wednesday’s hearing focused on Chael Sonnen’s guilty plea for money laundering, a month after his six month suspension was lifted. In addition to this, the commission also paid attention to the fighter’s claim about his alleged conversations with Nevada State Athletic Commission (NSAC) Executive Officer, Keith Kizer. Steve Thompson, Chael Sonnen’s attorney, argued that the judge in the Oregon case gave the fighter a merciful sentence because of his citizenship and remorse. The attorney also pointed out the fighter’s community service and the attached letters from families whose lives were positively impacted by Chael Sonnen. With regards to Chael Sonnen’s alleged conversation with Keith Kizer, Atty. Steve Thompson reiterates the adjective ‘imprecise’ to describe the fighter’s words. He also added that the UFC middleweight tried his best to answer all inquiries and that he has no intentions to mislead. However, the CSAC proved unsympathetic to Chael Sonnen’s claims, with each commissioner citing both the Oregon conviction and the December testimony as reasons for upholding the fighter’s suspension. Before the final vote, Chael Sonnen’s friends and family present in the hearing voiced their frustrations with the decision. One of the fighter’s attorneys continued to plead, but the CSAC informed that there could be no further discussions after the hearing.